The United Kingdom has a comprehensive set of cyberlaws. Data protection laws are particularly strong, with regular enforcement. However, businesses are required to register their data sets with the regulator, which seems to be an unnecessary burden on business and may act as a barrier to some cloud services. The United Kingdom is updating its laws to reflect the provisions of the EU General Data Protection Regulation (GDPR), which will come into force in May 2018. This update continues despite the BREXIT process. The United Kingdom is free from Internet censorship and filtering, and up-to-date laws are in place for e-commerce and electronic signatures. The United Kingdom is a signatory to the Convention on Cybercrime. There is significant debate in the United Kingdom on the regulation of law enforcement access to data, and some proposals could have a potential negative effect on cloud computing. Advanced intellectual property laws are in place and are regularly enforced, although there is still a gap in relation to trade secrets protection and enforcement. 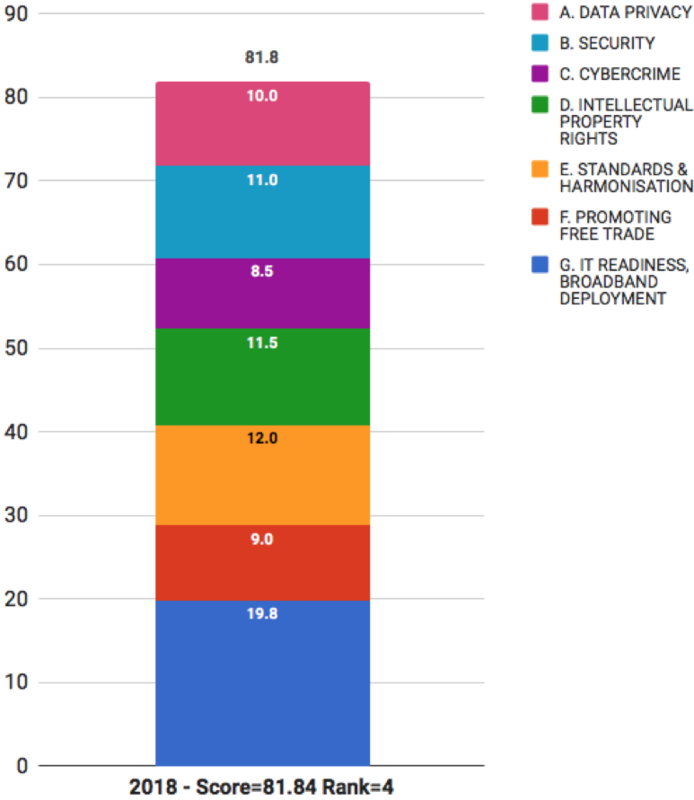 The United Kingdom also scored very well in the information technology (IT) infrastructure section of this year’s report. The United Kingdom’s ranking improved substantially, and the country went from ninth to fourth place in the 2018 Scorecard rankings. The UK released a national Cyber Security Strategy in late 2016 and outperformed other nations in the Security rankings. - 4th for IT readiness and broadband deployment.